Today is the day teams have to avoid going to arbitration with their players and agree to one-year deals. The Chicago Cubs have already done that with one of their top starters, ​Kyle Hendricks, and ​they were able to agree to terms with outfield slugger​ Kyle Schwarber. 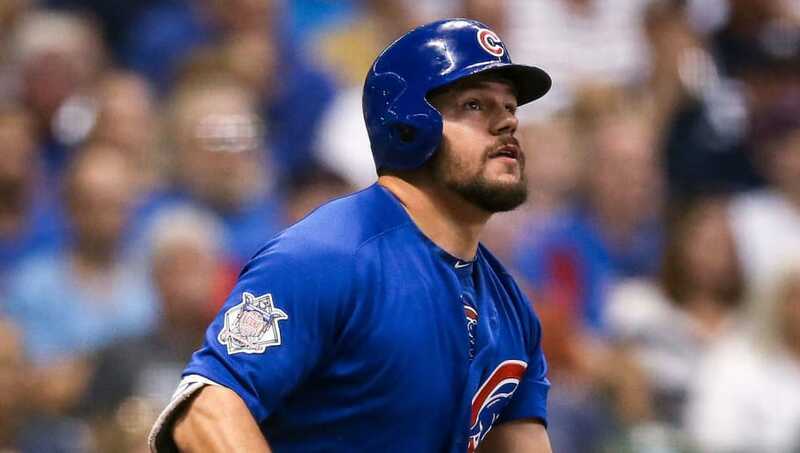 According to Bob Nightengale of USA Today, Schwarber and the Cubs have agree to a one-year, $3.39 million deal. This is a nice raise for Schwarber, who only made $604,500 last year. He'll continue to be under club control through the 2021 season. The 25-year-old is coming off a serviceable 2018 season in which he slashed .238/.356/.467 with 26 home runs and 61 RBI. The consistency from a contact standpoint is still not there, but the power remains legit, as he's had back-to-back seasons of 25-plus home runs. ​​Chicago has Hendricks and Schwarber taken care of, but they still have to reach agreements with Kris Bryant, Javy Baez, Mike Montgomery, Carl Edwards, Jr., and (perhaps) the suspended Addison Russell if they want to stave off any uncomfortable labor proceedings.